Magnavino Cellars is proud of our ongoing level of philanthropic efforts, and we are pleased to support a variety of charitable organizations, with particular emphasis on local causes. However, we are a boutique size winery and the number of donation requests is far beyond our capacity to fulfill. Therefore, we have devised a donation program which seeks to provide fairness to all organizations requesting funds, eliminates duplication, and ensures that we continue to meet the needs of our community. To begin the process, please fill out the form below and submit it back to us for review. As the requests we receive are so numerous, we cannot reply to everyone so you will ONLY be contacted in the event that we are able to donate to your cause. If you are seeking wine to be poured at your event, do you require our staff be present to pour the wines? 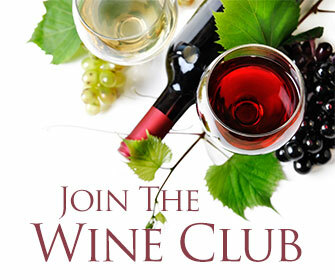 Are you currently a Wine Club Member? Donation Agreement - I agree that the above information is accurate. I understand that this is a request form only and that I will only receive a donation from Magnavino Cellars if the application is approved and I receive an email from the winery. By submitting this form, I am accepting this agreement. As part of the Maganvino Wine Club family, you will be the first to receive our new release wines and enjoy Cellar Club Member offerings created just for you.